We are a leading Manufacturer of suction pumps and suction centrifugal pump from Ahmedabad, India. We provide a range of high quality Suction Pumps, which are widely used for hydraulic fluid power applications in various industries. Our range of End Suction Pumps are suitable for handling viscous or semi viscous liquids. These End Suction Pumps are fabricated using premium quality material which is procured from the reliable vendors of the market. Perfectly designed, these compact gear pumps are high in performance and deliver output with maximum accuracy. 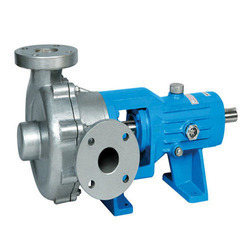 We are offering Suction Centrifugal Pump to our clients. Looking for Suction Pumps ?